Discover and compare new subcompact cars from all makes in the US market sorted by length from 157 to 165 inches with exterior and interior photos. For subcompacts under 157 inches long, see top 10 small cars, or longer vehicles in compacts. Make way for the all new subcompact Kia Rio. Stylish, practical and stunning to look at, this dynamic hatchback is guaranteed to turn heads. Featuring a superior level of comfort and equipment unprecedented in its class, along with low running costs and the latest audio technology, the new Kia Rio promises to deliver supreme performance and reliability. 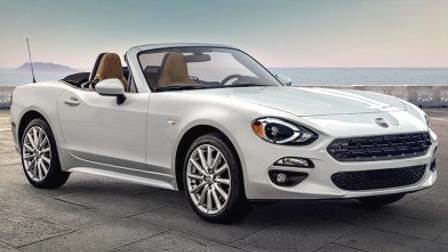 Originally introduced in 1966, the FIAT 124 Spider is back with a vengeance. With the turbo engine and powerful four-cylinder, the FIAT 124 Spider pays homage to its European racing heritage. Beautiful Italian styling accented by luxurious finishes will turn heads at every corner. When driving with the top down and windows wide open, wind is carried high over your head and guided toward the rear. From its grille, headlamps, available fog lamps and trim to its sleek new hood with distinctive character lines, the Ford Fiesta features a new, more sculpted look. 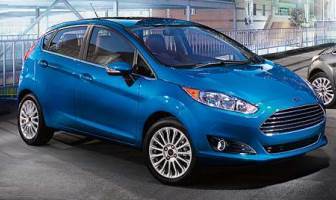 Adding to its appeal are all the choices the Fiesta offers. For starters, do you crave a sedan or hatch? Which color do you want it in? You have 10 eye-catching colors to choose from. How about an exterior body kit graphics package? Available leather-trimmed front seats? 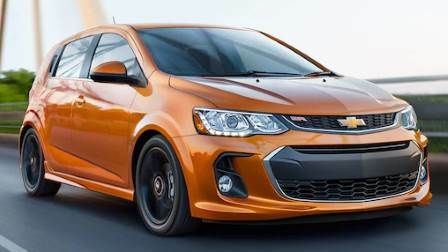 With the choice of a sedan or hatchback, the new 2017 Chevrolet Sonic doesn't just look good, it also offers advanced safety features, innovative technology and an available turbocharged engine. You can fit in more than you'd think. The Sonic Hatchback offer a 60/40 split-folding rear with 47.7 cu. ft. of cargo space with the rear seats fold down. 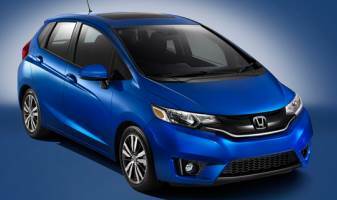 The Honda Fit has a slick, new body design and a wider stance. And it all helps give the Fit a look that, for a subcompact car, is pretty tough. The Fit may be a small car, but it's a mighty one. The 130-hp engine gives the Fit plenty of zip, and the its direct-injection system leads to better combustion and a more efficient use of your gas money. The Fluidic Sculpture design theme that sets Hyundai apart has been extended to the Accent. With a distinctive front fascia, bold rear bumper design and flowing lines that you normally wouldn't find on a car in this segment. The rear hatch on the Accent 5-Door increases versatility and functionality, while expressive side character lines spice up its signature style. Don't be fooled by its size. The Hyundai Accent is the subcompact that provides full-size safety. From its diamond-textured new grille to its "twin torch" LED taillamps, the compact roadster SLC wraps its long-hood/short-deck balance in new brilliance. Designed to slice through the wind and through corners, its sleek muscle and wide stance reveal its pure sports-car soul. 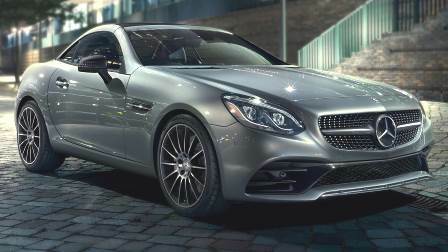 And its power hardtop is among the industry's most elegant. The innovative Mercedes-benz SLC engines combine fire-breathing power with free-breathing efficiency. Both the 241-hp 2.0L turbo-4 in the SLC300 and AMG-infused 362-hp biturbo V6 in the SLC43 turn motion into emotion. 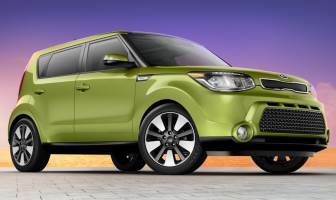 More fun to drive, more advanced technology and more surprises are packed into the subcompact car Kia Soul. An impressive array of LED lights adds a captivating accent. The Soul's eye-catching exterior now has an interior to match. From luxurious soft-touch materials throughout to tailored headrests and LED mood lighting, the Soul's richly appointed interior stands out from the crowd. The new FIAT 500L helps bring more interior space, more doors, more passengers, more fun and more life. Featuring expansive views with minimal obstructions of the outside world, and clever technology, the FIAT 500L is sophisticated, fun and defined by exceptional contemporary Italian design. 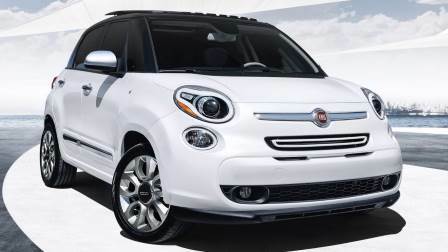 Featuring 123 cubic feet on the inside, the FIAT 500L comes richly outfitted. It's efficient and it's fun, and with an innovative dual fuel-injector design, it's got more than its fair share of get-up-and-go. Microfinished to reduce friction and provide a quicker response, the Versa Note engine has variable valve timing that continuously adjusts engine output to deliver no-nonsense acceleration with fuel-sipping efficiency. The 60/40-split fold-down rear seat gives you great flexibility to carry people and cargo. The huge pass-through means tall and wide items are always welcome along for the ride.